NOTICE - We are deprecating this experimental extension! 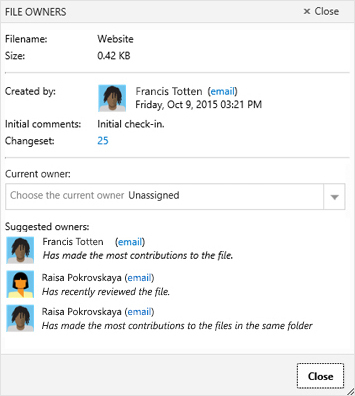 Users who have installed the extension on VSTS or TFS can continue using their version. New installs or downloads are unsupported. The extension will continue to serve as an open source solution and sample extension on GitHub. Questions? Please see feedback section below. This extension works with both Git and TFVC repositories. We thank the following contributors for this extension: Abel Wang, Wouter de Kort and Mikael Krief.